This Armada single hinged swing arm wall light with switch finished in antique chrome is supplied with a hard lined cotton shade in a choice of twenty stunning colours. 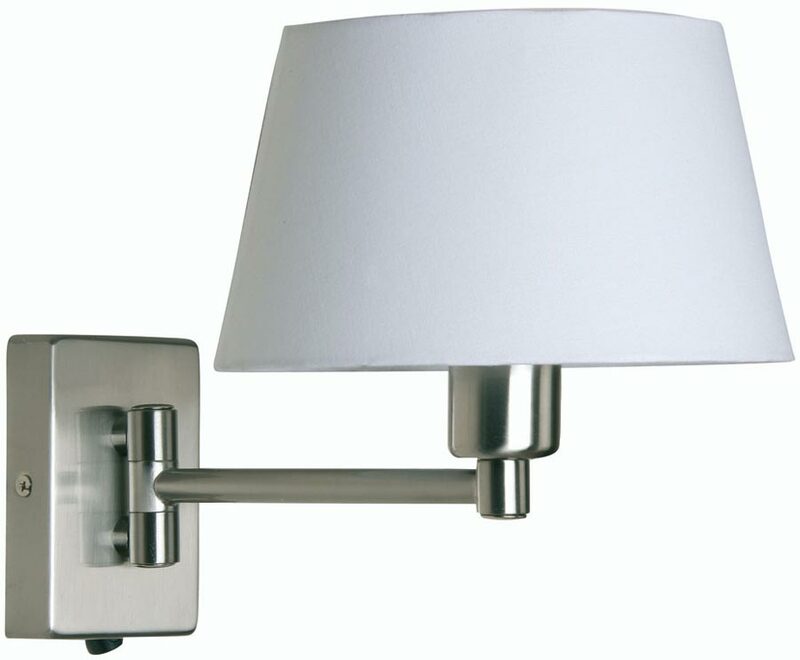 Featuring a rectangular wall mount fitted with a concealed rocker switch and single hinged lamp arm. Perfect as a bedroom wall light positioned above a bed. Swing the light out for reading and push it back when not in use. 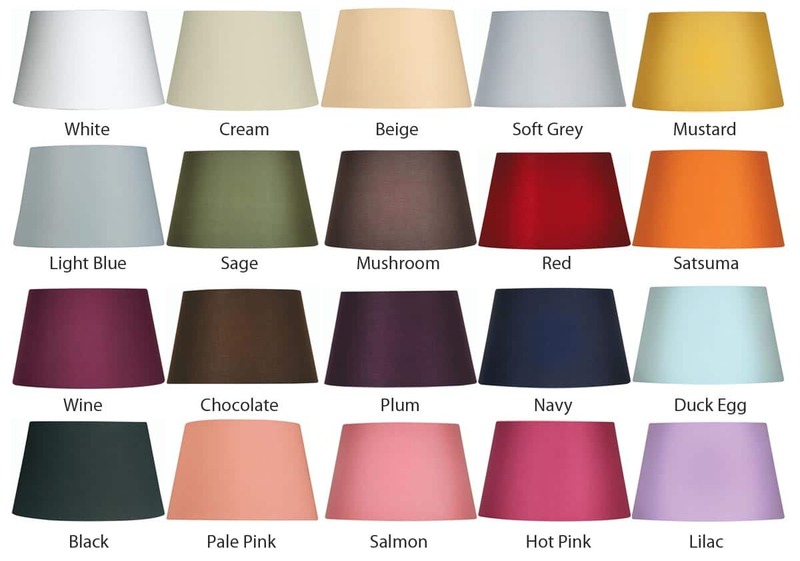 Supplied with a hard lined 8″ tapered cotton lamp shade in a choice of colours. Shown in the picture with a white shade but available in any of the twenty colours on offer at the same great price. Please see the secondary image for options and let us know your colour choice using the special instructions box at checkout. Please note that the dimensions given below do not include the shade. Shade dimensions, height 123mm, and diameter 205mm. The hinged nature of this Armada double swing arm wall light allows the lamp to project from the wall, which makes it suitable for mounting in any living room or dining room to assist with reading or any other task activity. Maximum projection 23cm. There are co-ordinating products available in the Armada antique chrome swing arm lighting range that can be viewed below and include a double swing arm wall light, swing arm floor lamp and table lamp. Also available in polished brass, polished chrome and antique brass finishes.